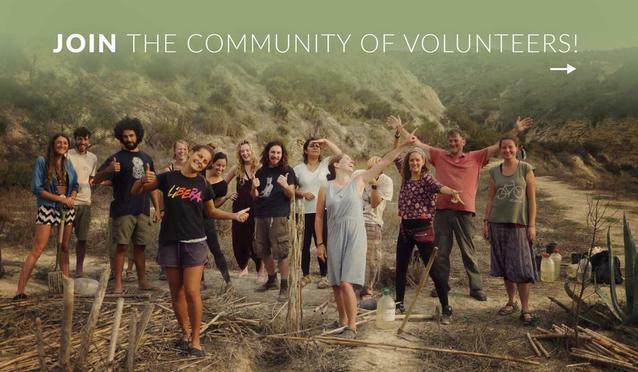 The 6 month EVS opportunity starts in the second week of January 2019 and is called: Environmental Voluntary service in an international eco-community. Learning how to live with a low environmental impact . As a brief summary: the volunteers will have the opportunity to get to know all of the departments in our community led non-formal environmental education centre (Organic Gardens, Drylands Management, Sustainable Living, Eco- Maintenance, Appropriate Technology, Communication, Education, Administration) and will then then chose the departments they want to evolve in the following months. Здравей Велика, Моля те да ни пишеш на email (Може да го видиш в бутон "За връзка" или от формата за контакти), за да мога да ти изпратя повече информация за ЕДС проекта в Испания.